Used in various locations in The Netherlands and Belgium as a floating disco/restaurant. The M.V. HH 294 'Paul J. Müller' was built in 1949/50 by the Deutsche Werft AG in Finkenwerder/Germany for the Paul Müller shipping company in Hamburg. The vessel served as a fishing trawler in international waters off Iceland. In July 1956, the vessel was sold to the Niedersächsische Hochseefischerei GmbH in Cuxhaven and renamed NC 420 'Norderney'. 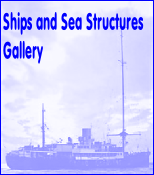 In 1960, the ship was sold to be scrapped in the Netherlands. 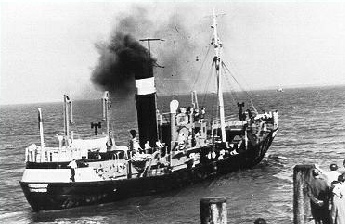 The Norderney entered Ijmuiden on 9th October 1960. Later it was towed to Haarlem and then spent some years in Spaarne. 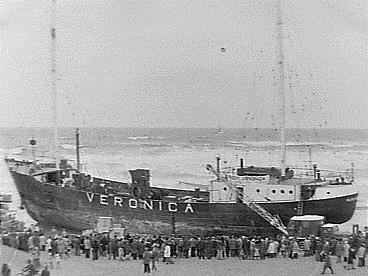 In 1964 Norderney was purchased by Radio Veronica although the former owners had already begun to dismantle the ship. She was substantially rebuilt in the ZSM shipyard at Zaandam, The Netherlands as part of her conversion into a radio ship. Bottom: Norderney in Amsterdam, November 2012 prior to her latest refurbishment. 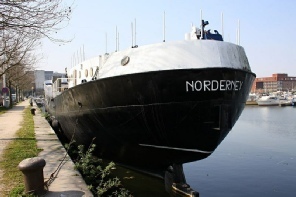 The Norderney - one of the few offshore radio ships still surviving - has been moved to a large number of locations and been used mostly as a floating disco/restaurant/cafe. 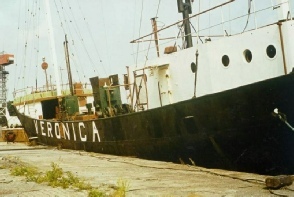 After Radio Veronica closed on 31st August 1974 the Norderney remained at sea for a year until she was towed into Amsterdam in August 1975, moving to Zaandam in November. In August 1977 the Norderney was towed to Dordrecht and Papendrecht, Holland, moving again in 1980 to ‘s Gravendeel and Ouwerkerk amidst rumours that she was about to be scrapped. In December 1981 Norderney was sold to Jan Groeneweg who had her converted into a floating disco and restaurant - located in Zoutkamp, Holland. In April 1983 she was taken to Middelburg, Zeeland and used as a floating discotheque. Norderney was moved again in March 1984 (to Vlissingen) and in March 1985 (to Amsterdam). 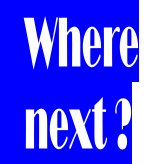 In 1986 Norderney was towed to Lelystad and re-opened as a discotheque in August. Between March 1987 and 1993 Norderney was moored in Maastricht. In 1993 she was moved to Groningen to be re-built as a cafe/restaurant, which was officially opened on 3rd November 1994 in Leeuwarden Harbour by former Radio Veronica Director, Bull Verweij. On 19th August 2000 Radio Caroline supporters attended a Dutch radio convention on board the Norderney in Leeuwarden. In May 2001 Norderney was moored in the centre of Antwerp, Belgium again being used as a disco/cafe. 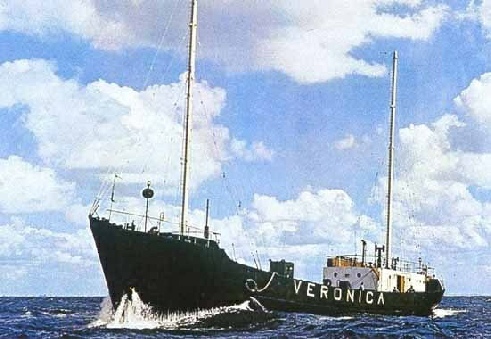 On 31st August 2003 Norderney was used as a radio ship again for six hours when Radio Veronica (now a fully licensed station) made a special broadcast to mark the 29th anniversary of the station’s offshore closure from its offshore base. 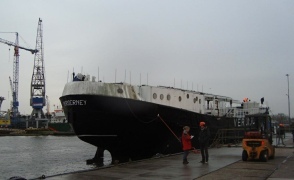 In November 2012 Norderney returned to Amsterdam where she is to be refurbished once again and transformed into a multifunctional floating venue for radio and TV broadcasting, Internet, song, dance and comedy performances, based on the Eemskanaal, Groningen, Holland.